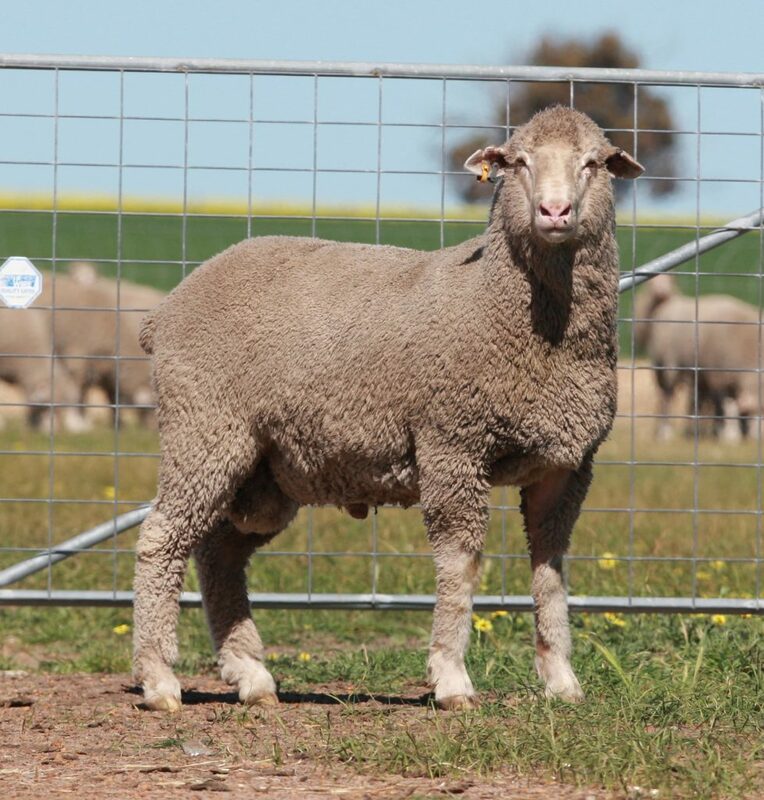 Leading the way in breeding genetics, performance recorded data dating back to 1992 has allowed Moojepin Merinos to breed sheep of the highest quality. We have distanced ourselves from the traditional methods of breeding to allow for better results, with 90% of our catalogued rams being trait leaders (in the top 10%) for WWT, PWT, YWT, PEMD, YEMD, and YFAT. Moojepin sheep are sold domestically as well as globally, in South Africa, South America, Falkland Islands and New Zealand. By deliberately concentrating on the three ASBV traits of growth, muscle and fat, in combination with the latest technology, Moojepin are able to drive profitability from efficiency and genetic gain. The efficiency is achieved through a higher percentage of lambs being weaned which equates to higher gross profits for clients. Thriving on challenge, each year we join our 6 to 7 months old ewe lambs which allows for further increased genetic gain. The Moojepin enterprise commercially focused and driven, run sustainably with environmentally friendly processes and high welfare standards; mulesing ceased in 2004. We mate approximately 2700 ewes and 500 ewe lambs, with shearing taking place every 6 months, and the average wool length being 72mm coming off each shearing and 2.7kg per animal. We also grow cereals, lupins and canola in order to diversify our business.